Backpacking is free by reservation at Scioto Grove Metro Park. In addition, biking is allowed on all park roads and on picnic area paths. Scioto Audubon has a boat ramp to launch motorized boats onto the Scioto River. 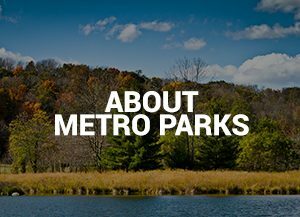 In addition, visitors can canoe or kayak on Darby Bend Lakes and Beaver Lake at Prairie Oaks. Cross-country skiing is available on all trails when ski conditions exist. 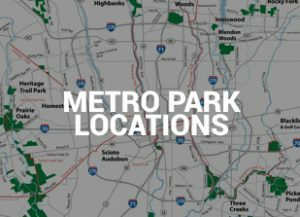 Blendon Woods and Glacier Ridge have an 18-hole disc golf course. 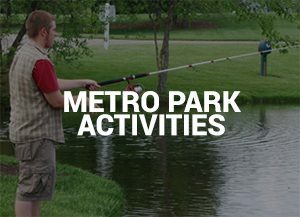 In addition, kids 15 and younger can fish on ponds at Chestnut Ridge and Slate Run, and adults age 60 and older can fish on Schrock Lake at Sharon Woods. Blacklick Woods Golf Courses feature an 18-hole and a 9-hole course, plus a driving range. Battelle Darby Creek and Blendon Woods have ice skating ponds when conditions are suitable. 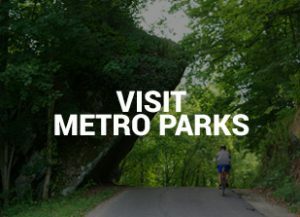 Chestnut Ridge features a 9-mile mountain biking trail. In addition, leashed pets can be walked on park roads and on picnic area paths. Rocky Fork Metro Park also has a short off-leash trail. Scioto Audubon features a 32-foot climbing wall.